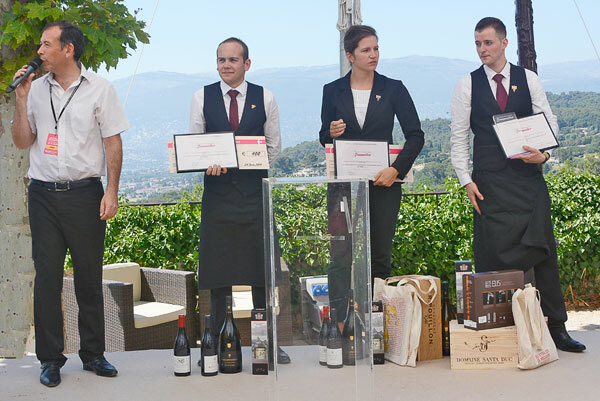 At Les Étoiles de Mougins, Geoffroy Petit Colin, sommelier of the restaurant L’Oasis 2** in Mandelieu, won the very promising title of Meilleur Jeune Sommelier. The twelfth edition of Étoiles de Mougins had as guest of honor the chef Daniel Boulud, creator of 14 gastronomic establishments in the USA including Daniel** and Café Boulud* in New York. For a few years now, the Concours du Meilleur Jeune Sommelier (Best Young Sommelier Contest) has honored a promising young sommelier. 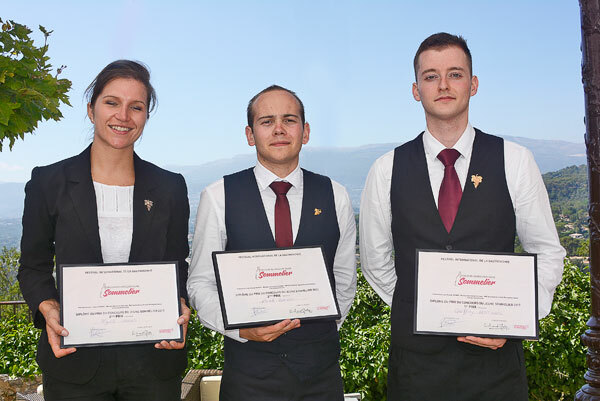 The finale of the competition of the Meilleur Jeune Sommelier Les Étoiles de Mougins took place on 25 June 2017 during the International Festival of Gastronomy and Art of Living in Mougins. This competition, organized in collaboration with the Nice-Côte-d’Azur/Provence Sommelier Association and the Franck Thomas Group, is based on the knowledge of wines and wine estates and vineyards in France and around the world, the elaboration of food and wine pairings according to the quality and aromas of the wines on the list, the tasting and the profession of sommelier. 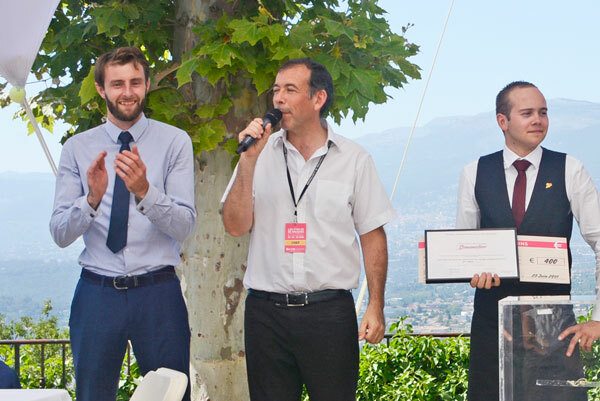 The finalists of the contest for students and professionals of all nationalities, aged up to 26 years, have displayed their talent during Les Étoiles de Mougin 2017, the International Festival of Gastronomy and Art of Living, in the charming village of Mougins. Under the presidency of Franck Thomas, Meilleur Ouvrier of France Sommellerie, Best Sommelier in Europe, each candidate has chained in front of the Jury some delicate trials on wines and restaurants: reception of four customers, a champagne service, wine pairings, tasting of a wine, of 3 spirits, all within the allowed time of 12 min. 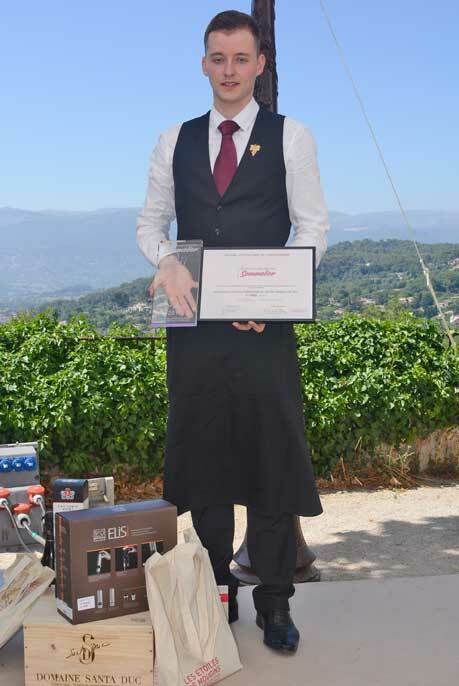 Geoffroy Petit Colin, sommelier at the L’Oasis 2**, restaurant of the Raimbault brothers in Mandelieu, won the contest of Meilleur Jeune Sommelier Les Etoiles de Mougins 2017. He succeeds his colleague Jonathan Pral – from the same restaurant L’Oasis in Mandelieu – Winner of the 2016 contest. Florent Chauvin, from the Paul Augier School in Nice, won the 2nd prize before Myrtille Gautier, Sommeliere at the Hostellerie de Levernois, 3rd prize. The talent of Franck Thomas, Meilleur Ouvrier de France, Best Sommelier in Europe and finalist as Best Sommelier in the World, is recognized in the world of gastronomy. For more than ten years, he has been training and coaching wine professionals. Today, as manager of a prestigious training organization in Antibes, he conducts innovative teaching techniques like intuitive tasting. An emotional tasting that seeks to broaden perceptions. Franck Thomas has the art of transforming discoveries of wines into real experiences, thanks to his approach and his expertise. 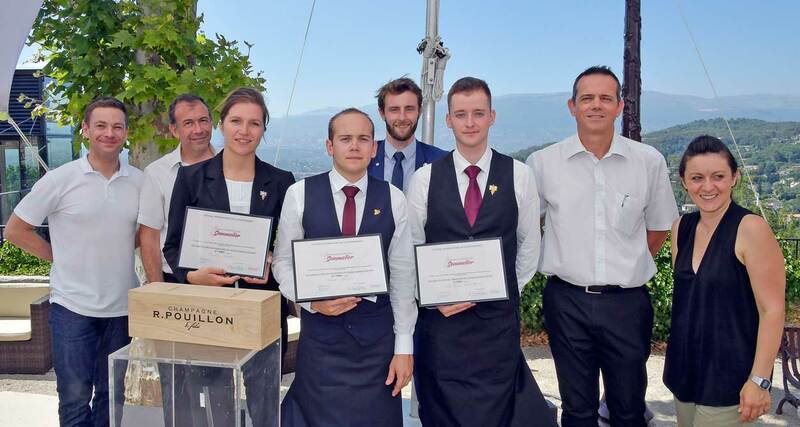 The winners of the Best Young Sommelier contest were rewarded with gifts offered by the Étoiles de Mougin and partners of the Festival, such as the Champagne R. Pouillon.